Few brands in the pro audio world are synonymous with an entire sound. Solid State Logic—better known as SSL—is one such brand. This company’s gear has been emulated in the software and hardware planes by scores of manufacturers; original SSL consoles are prized heartily for their clarity, punch, and sonic glue. So, what if we were to tell you that SSL has just released a desktop mixer—complete with individual channel and bus processing—for a price less than most SSL compressor clones? You’d probably not believe it. 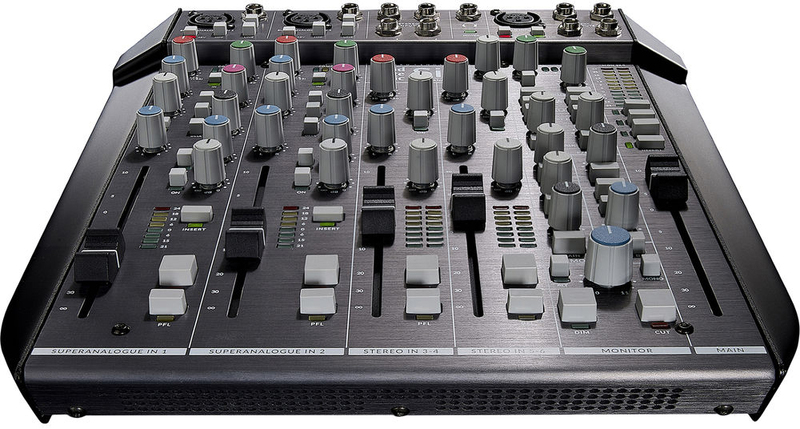 But that’s just what SSL has done in the SiX, a four-channel mixer now available at B&H. The SiX gives you two mono SuperAnalogue channel strips, as well as two stereo input channels. You’ll find an E-series style 2-band EQ with filters switchable between peak and shelving. You’ll find one-knob channel compression and a stereo bus compressor that gives you the classic SSL glue. 100mm-throw faders give you tactile control over the levels. Use the talkback section to speak to artists monitoring on their own cue mix—or use this section and its LMC (Listen Mic Compressor) to slam a mono drum overhead for a truly thick sound. 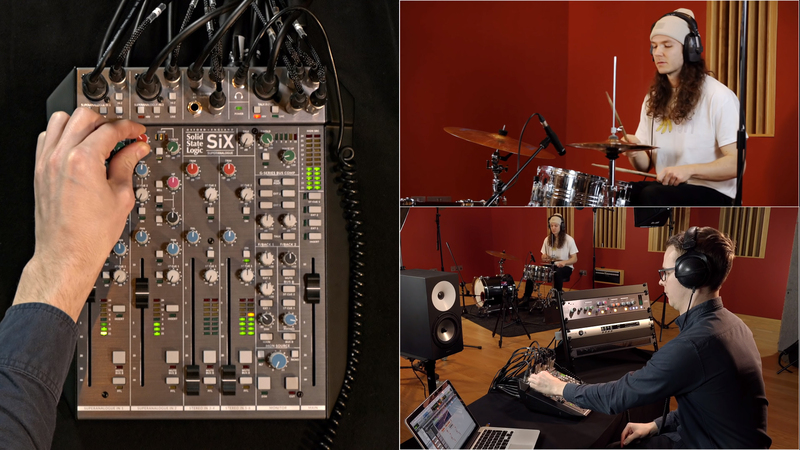 With the SSL SiX, you can record condenser microphones with phantom power, rig up simple drum sets and record them with parallel compression, run a podcast through studio-quality signal flow, and much, much more. You can even, for instance, utilize the SiX as a 12-channel summing mixer as you’re mixing your tracks, getting the sound that defined an era all over your own creations. 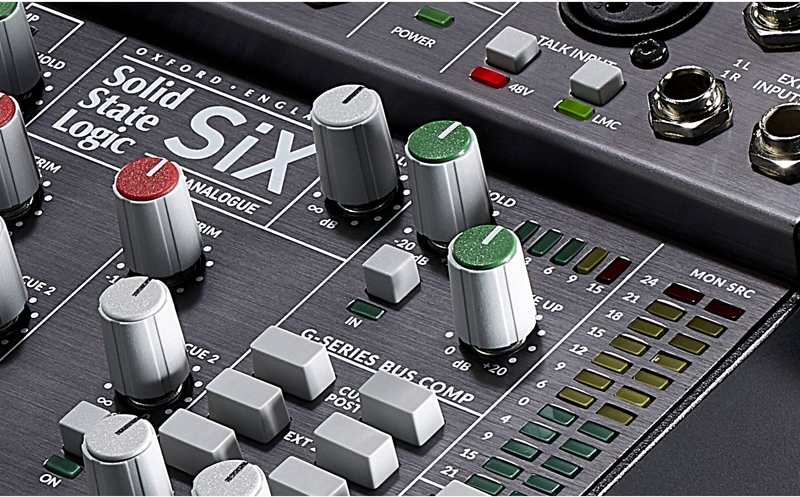 Whether you’re recording small sessions, producing, mixing, podcasting, or working in post-production, the SSL SiX has a function to suit your needs, and a sound to surpass them. 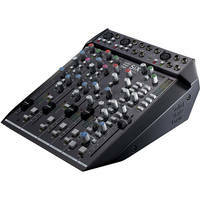 So, check out this desktop mixer, available now on our website. Why don't they include a photo of the back of the unit. A bit of it was showed on the video but at an angle where you cannot read out anything.